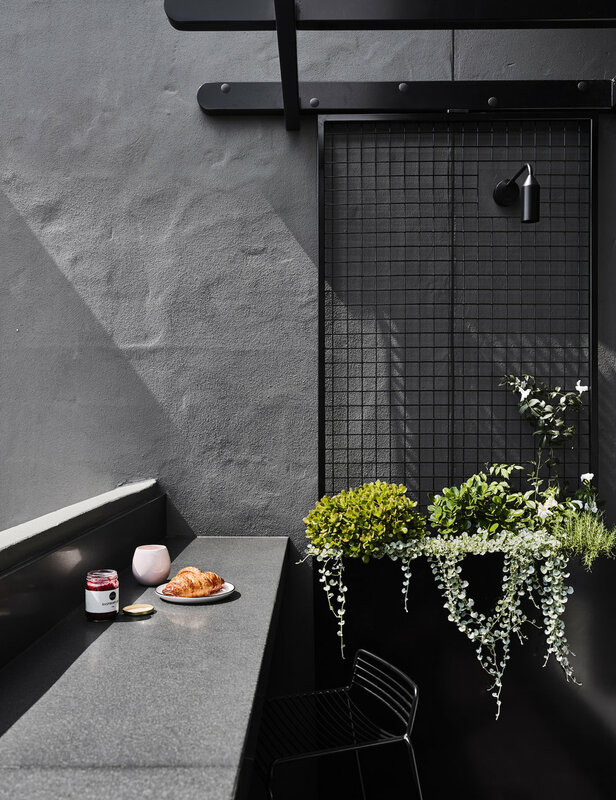 This balcony’s harsh edges have been softened to create an outdoor space that’s now habitable year-round. 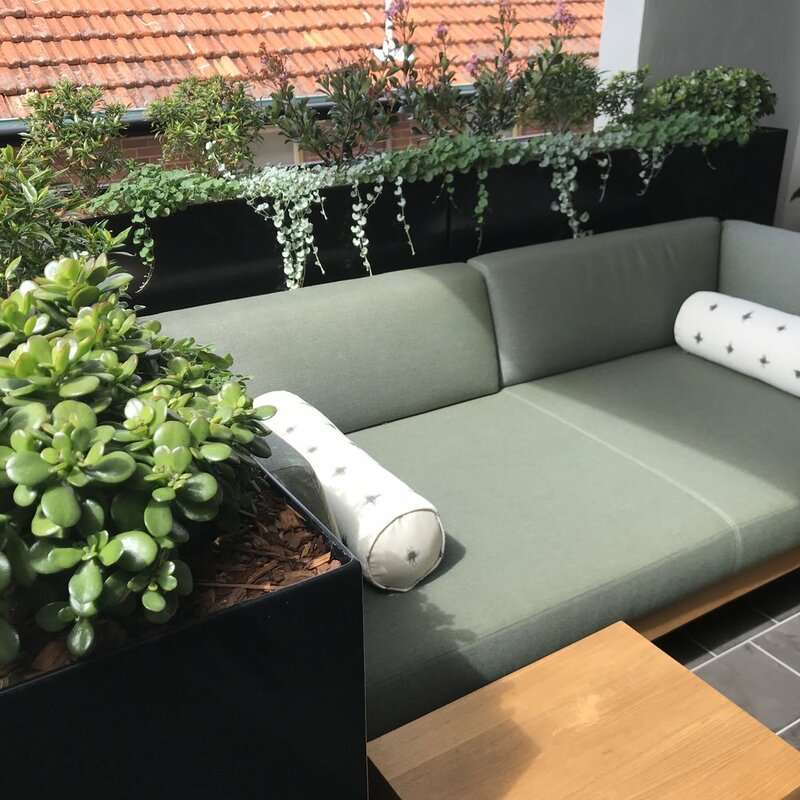 To create a multi-dimensional living space, we started by defining lounge and dining zones and had custom planters designed that collect water to prevent overflow to lower apartments. 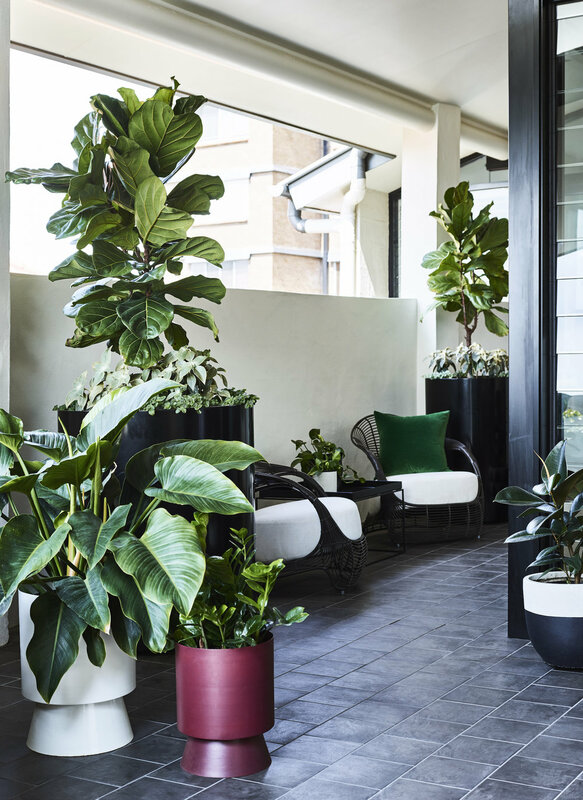 Hardy plants were then selected that will not only adapt to the extreme light changes from winter to summer, but also create protection from the wind and create a sense of seclusion. 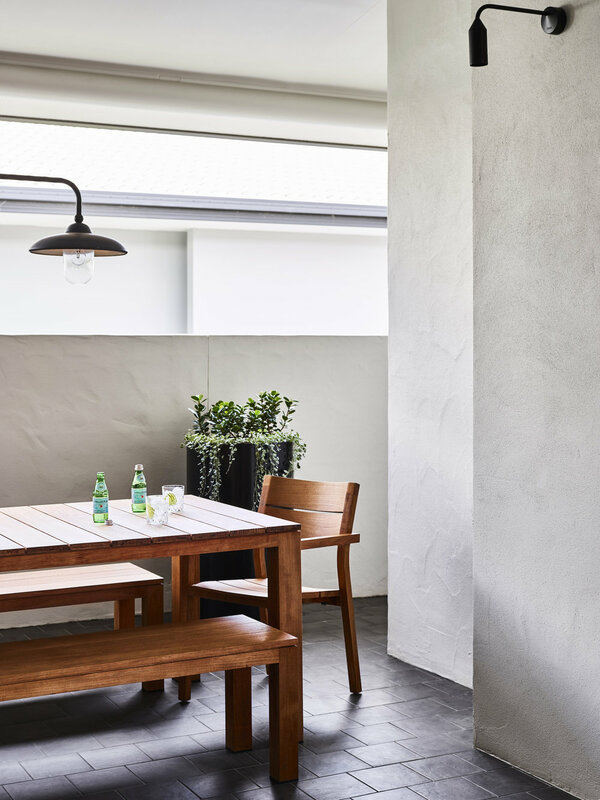 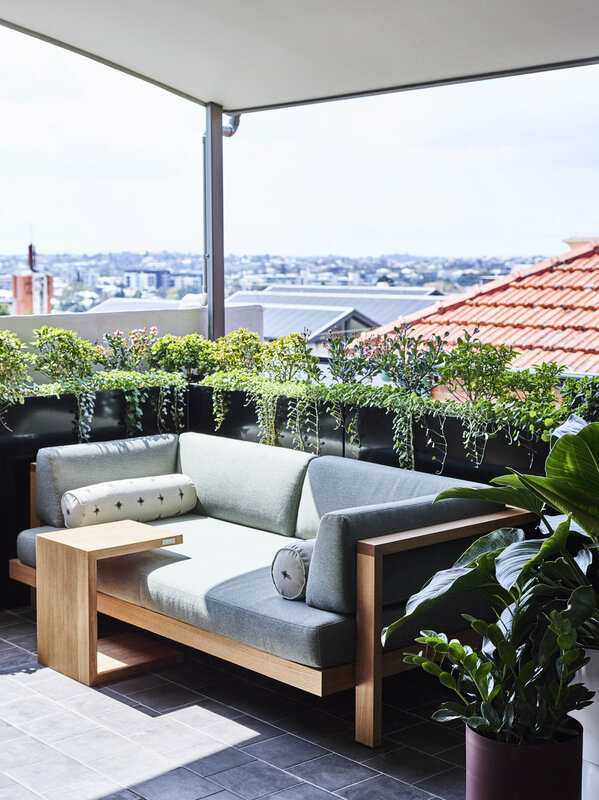 Low light, a lack of privacy and the sharp lines of the building meant the space was previously underutilised – but now the rejuvenated balcony draws the owners out of their apartment on a daily basis.